Giant wave crashing into the Ventura Pier in 2012. Originally built in 1872, the Ventura Pier is California's oldest wooden pier and at one time, the longest. Today it is recognized as the 6th longest wooden structure in California. In this photo by Steve Munch, Anacapa Island peaks out of the ocean at the end of the pier. 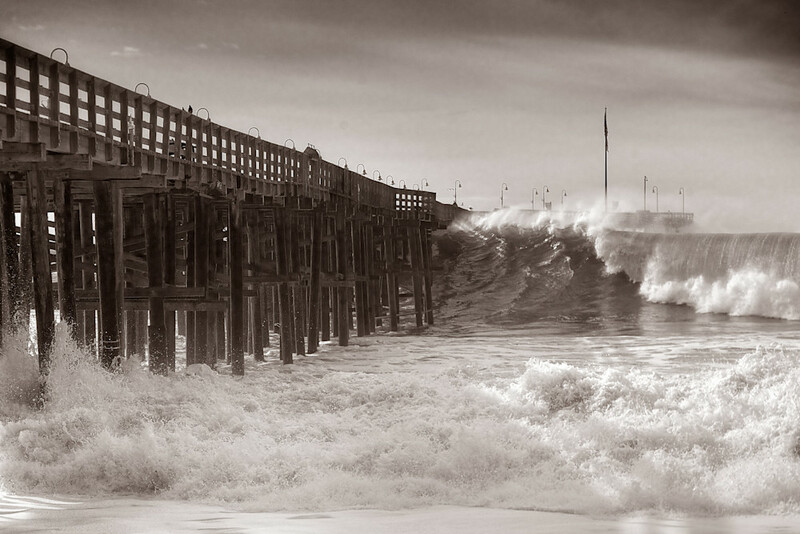 In this photo by Steve Munch, the Ventura Pier is being pounded by 25' surf in March of 2012.